Cindy Scotland has served as the Managing Director of the Cayman Islands Monetary Authority since June 2002. In this role she oversees the implementation of policies to ensure the sound management of the Cayman Islands’ currency and the effective supervision of the more than 13,500 regulated entities operating in and from the Cayman Islands. She also has responsibility for the development and maintenance of strong working relationships between CIMA and other international regulatory bodies. Representing the jurisdiction extensively on regulatory and other cooperation matters, she is the deputy chairman of the Group of International Financial Centre Supervisors (formerly the Offshore Group of Banking Supervisors. She is a member of the Financial Stability Board’s Regional Consultative Group for the Americas. She routinely interacts with bodies including the International Organization of Securities Commissions, the International Monetary Fund and the Caribbean Financial Action Task Force, as well as with jurisdictional regulators such as the UK Financial Services Authority, the US Securities and Exchange Commission and the European Securities and Markets Authority. Mrs. Scotland holds a number of local board and committee posts. 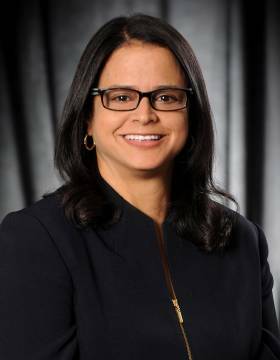 She is chairman of the Cayman Islands Guidance Notes Committee, which is responsible for the Guidance Notes on the Prevention and Detection of Money Laundering and Terrorist Financing; a member of the Cayman Islands Stock Exchange Authority Board; the Anti-Money Laundering Steering Group Committee, and the Financial Services Council (a public sector-industry advisory body to the government). Joining the Authority at its inception in January 1997 as the Head of Currency Operations, Mrs. Scotland was promoted to the post of General Manager in June of that year. Prior to CIMA, she spent six years with one of its predecessor organizations, the Cayman Islands Currency Board, the last three of those years as the Board’s Manager. She was the 2004 recipient of the Young Caymanian Leadership Award and was made a life member of the International Association of Business Leaders in 2005. A notary public, Mrs. Scotland holds a Bachelor of Arts degree in Economics from Macalester College (1991) and a certificate with distinction and diploma with merit, both in offshore business management, from the Institute of Chartered Secretaries and Administrators (2001). She has been a contributing author to numerous industry publications.